You may double your pleasure and double your fun, but now it gets better than that. At Bingo3X you will have triple the excitement. Right when you thought it couldn’t get any better for online bingo it does. The name alone says it all; Bingo3X is loaded with three times the thrills for a chance to win big moolah! It is a marketing scheme so brilliant players will be crazy not to jump in on the concept. 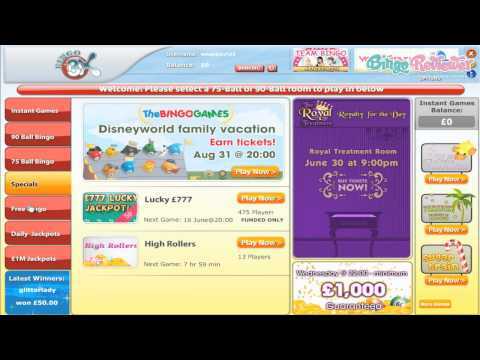 So what exactly are the offering 3 times more than any other online Bingo site? They have included what matters most, three times the Jackpots and three times the Bingo promotions. Putting the player first and creating a site giving what players actively seek is the motivational force that drove them. The software is provided by DragonFish, another smart move on their part that gives a distinction of superior games. Bingo3X is licensed by the Government of Gibraltar and regulated by the Gibraltar Gambling Commissioner. Bingo variations cover 90 ball and 75 ball bingo with rooms that include Chat Games and Mini Games. Free Bingo is stupendous with a staggering £6,000 given away each and every month and is definitely one of the main attractions of this site. Coverall Games offer big Progressive Jackpots including £1,000,000 games that take place every Wednesday and Friday. Guaranteed Jackpots are a nice insurance of consolation cash prizes. An assortment of Slots and Scratch Cards put Bingo3X over the top with exceptional gaming. Themed Slots from game shows include Wheel of Fortune, X Factor, Sale of the Century and Blankety Blank. Impressive special features created slot spinning that is riveting. There is a tremendous amount of promotions that will keep players thoroughly entertained. The Weekly Bingazette will keep you updated on the latest happenings with creative incentives. Players will find Big Deposit Bonuses to add playing power and a load of credits to their accounts. Refer your friends and receive a hefty supply of Loyalty Points when they register and make their first deposit. Happy Hour is surely a time of happiness for those who want to earn more Loyalty Points. During Happy Hour all Loyalty Points are doubled! A Loyalty program designed to take care of players who are loyal players will be thrilled and pampered at the benefits. Each new level of in this prestigious VIP club will offer better Bonuses, Monthly Cash Back and Special Promotions. Bingo3X has put a lot of thought in offering bingo players the very best with three time the rewards. Brilliant Jackpots and Free Bingo with a staggering amount of prizes given away on a monthly basis makes them a sure fire winner. We rate Bingo3X with 4 Pink Hearts. I like this site for the idea of three times the promotions. I like to take up promotions and Bingo3X has the right idea. One of my favorite things about this site is their magic Mondays! I usually hate Mondays, as I’m sure most people tend to but they manage to spice things up and brighten your day by giving players the chance to engage in two full hours of happy hour bonuses to win great cash prizes. The free bingo isn’t bad at all either. In fact, it’s one of the best deals I’ve seen when it comes to free bingo. You can play every single day, not all day, but they let it run for pretty good portions of time. They offer guaranteed pots as well and they have a lot of cash to give away. Their selection of bingo is another plus. They have three varieties, including 75, 90 and high 5 bingo. They’ve got your classics and then they throw in a nice little extra that more than doubles your chances of winning. I really like their collection of slots as well. One of my favorites to play here is the Cleopatra slot, because the jackpots can get pretty hefty. I found this site to be pretty good. The layout here is sleek and smooth. The welcome offer I found to be a little on the average side. It’s basically £10 free, when you make a deposit of £10. I prefer the no deposit bonuses but this one was alright. They have a decent variety when it comes to their selection of bingo, offering three variations: high 5 bingo, 75 and 90 ball. It’s always appreciated when sites add a little more variety to the mix so players aren’t stuck with the same two games everywhere they go. They also offer team bingo here. This is always a fun addition to any site and makes things more lively. The jackpots here are pretty nice as well, ranging from coverall to progressive jackpots. I also really like their promotional offers. They are always running some kind of promotions that serves to make things a lot more fun. I enjoyed every minute on Bingo3X, and finally found a place that I will stay on for a while. Starting from the site layout which I find really nice and not too crowded with various graphics and banners, fast and smooth navigation, and generally appealing design. This is a Dragonfish site, and make no mistake, the games looks top notch. Also, I have seen most of them before, but that is a plus in my book. Starting bonus is a 200% on your first deposit. In case you thought there's a free No Deposit Bonus here, think again. The offer says that if you make your first deposit at least £10, you get Bonus Booster App with 3 Free spins, and a possibility to win £15. There are a lot of other promotions going on, so keep your eyes on the site, in order not to miss anything. Also, very quick payouts, one of the fastest I have seen.